The project is developing a new curriculum for the Beth Shalom Sunday School. In the first stage, the project evaluated the existing curriculum, the needs of students, and the expectations of parents. 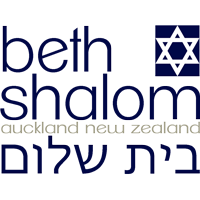 The project also examined curricula in other Jewish supplementary school programs in Australia and New Zealand. A new curriculum is being written, in consultation with an educational consultant. The new curriculum is based on three sources: (1) the CHAI curricula from the URJ in America; (2) the IMPJ curricula for Shabbat and prayers; and (3) the TALI curriculum for Jewish peoplehood and Israel. It also will include parts of the EMET curriculum from the BJE in Sydney, which are designed to provide a basic layer of Jewish knowledge. Each semester, students are able to choose one of three electives. The electives are taught for one hour each Sunday. They are not provided to the youngest class. The current school Educator, who serves as Project Director, is responsible for writing the new curriculum and implementing training for the teachers. His time at the congregation will be increased to 25 hours weekly, 15 hours of which will be devoted to the project. The curriculum is being implemented as a pilot during the 2013 academic year. Feedback will be gathered from teachers, children, and parents, and will serve as the basis for revisions. The project includes sessions to train teachers to implement the curriculum. An outside expert from Australia will conduct a full day of training twice each year. There also will be monthly training sessions extending for two hours. The monthly sessions will be led by the Project Director. The curriculum will be shared with other similar schools.